The FISTF Major of Rome was held for the first time this week-end. The tournament was a Grand Prix last season and was promoted as Major after the belgian club of Stembert decided not to organize a Major this season. The level was high with many excellent players travelling to the center of Italy. 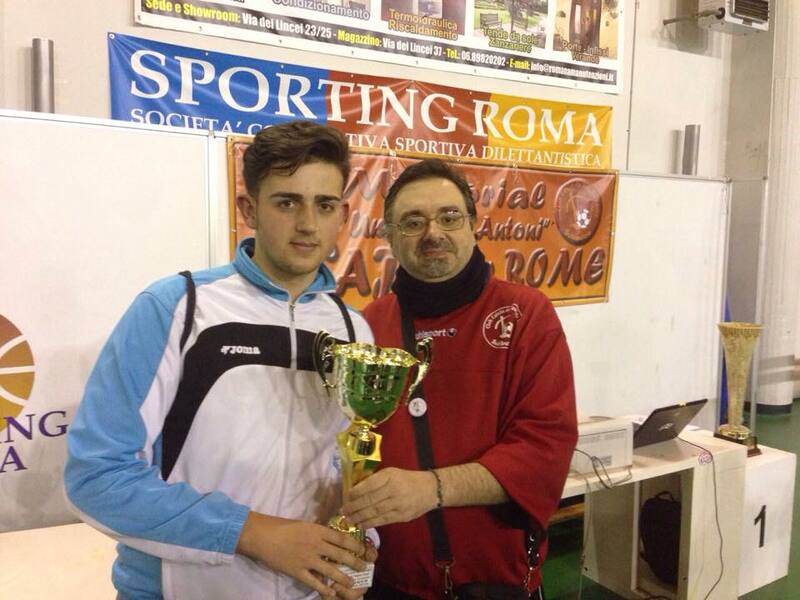 Carlos Flores (Spain/Reggio Emilia) proved to be in the shape of his life after beating Daniele Bertelli in the final. Massimialno Nastasi and Antonio Mettivieri reached the final 4. 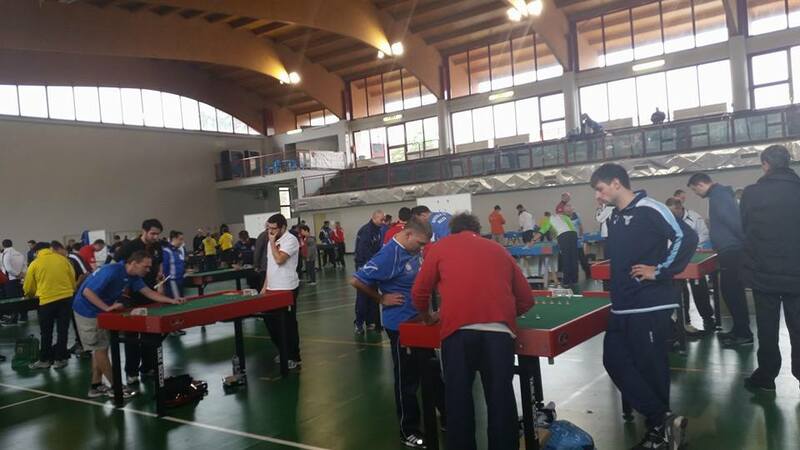 In the veterans, the level was very high as well but in the end it was a small surprise to see ACS Perugia’s Gerardo patruno beat Malta’s Charles Aquilina in the final. 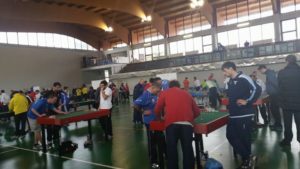 the other individual results were David Gonzalez (U19 – picture), Francesco Vezzuto (U15), the young Antonio Chieppa (U12) and Switzerland’s Trisha Baumeler in the ladies section. The team event was also very hot with 40 teams dropped in 10 groups. 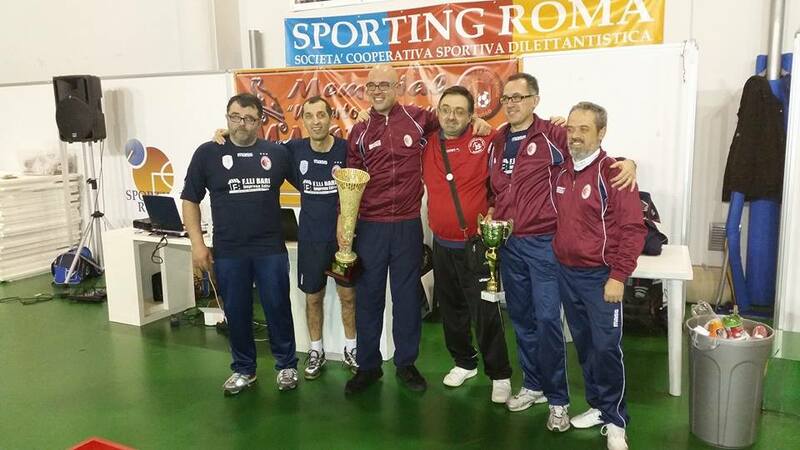 After a perfect day, the guys of Reggio Emilia (Flores, Lamberti, Licheri, Capellacci and Bari) won the tournament. They beat Pisa in the final. ACS Perugia and the Napoli Fighters were the semi-finalists. This entry was posted in FISTF News and tagged Italy, Results. Bookmark the permalink.